Your credit report is a snapshot of your credit history at the moment it is requested. It contains identifying information, debt-related public records, and details about how you pay your bills. Creditors provide information to the credit bureaus about how you repay your debts. Your credit history is used to evaluate applications for credit, insurance, renting an apartment, and for other business decisions. If you have bad credit, you will not enjoy the process of finding approval for any of those tasks. Checking your credit report regularly is important because it can affect your ability to qualify for loans or future mortgages, and ultimately get the best rates. Review it at least annually to be sure the information it contains is accurate and up-to-date. Fortunately, federal law allows you to dispute credit report information you believe is inaccurate for free. You will need to notify the bureau of the information you’d like to dispute and provide supporting documentation. If the bureau’s reinvestigation results in a change to your report, they will send you a free copy of your report with the change reflected. The credit reporting company contacts the source of the information, usually a creditor, who must verify that the information is correctly reported, based on its records. If the information is inaccurate it must be updated or deleted. The bureau must respond to your inquiry within 30 days. 1. Obtain a copy of your Experian Credit Report. Order online, where you can immediately review your report. You will be given a report number that allows you to start the dispute process. You can also obtain a free copy of your credit report from each of the three nationwide credit bureaus once a year at www.annualcreditreport.com. 2. Carefully review each section of your credit report. Review each item in detail. If you believe something to be inaccurate, you can dispute that item. 3. Provide evidence that the information is inaccurate. Be specific with facts that can help explain your reasons. Notification will be sent when the results of the reinvestigation are ready to be viewed. You can review the results online. Be sure to provide your email address. Once the dispute process has been initiated, the bureau will contact the company or lender that provided the disputed information. After the bureau receives a response, the consumer will be notified of the results of the reinvestigation. If the information can’t be confirmed, the disputed item will be removed. 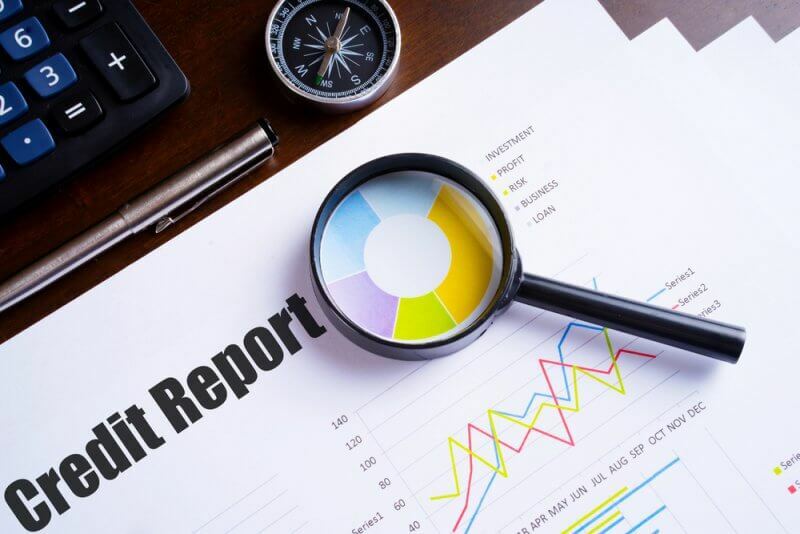 Remember, checking your report often is one of the best ways to ensure inaccurate information isn’t dragging your scores down and impacting your ability to qualify for a loan. And should you find information that needs to be disputed, you can get help.